Whether your thing is food or film, music or museums, Frank Lloyd Wright or wildlife, Chicago’s fall line up of new and annual tours, attractions and events will leave you wide-eyed and filled with a sense of wanderlust. Art on theMart is a much-anticipated permanent large-scale lighting installation, scheduled to debut on the Chicago Riverwalk this fall. This video art piece will project across nearly three acres of the south, river-facing façade of theMART, the building formerly known as The Merchandise Mart. TheMART will provide ‘the largest canvas in the world’ for video art, with a curated, ongoing series of ever-changing images becoming a permanent nighttime riverfront feature. The Chicago Architecture Center (CAC), formerly known as Chicago Architecture Foundation, will open at its new location on August 31, 2018. 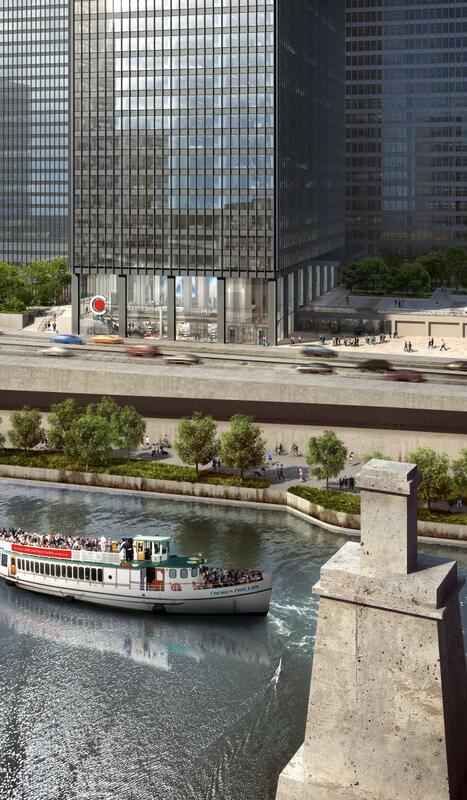 The new Center will join the bustling riverfront, steps away from Michigan Avenue and directly across the street from the Chicago Architecture Foundation River Cruise aboard Chicago’s First Lady Cruises. The Center will be home to everything architecture, bringing new walking tours, imaginative education programs and new interactive exhibits. Read more about it on our Chicago Like a Local blog. EXPO CHICAGO kicks off September 27, 2018 with Vernissage, the opening-night benefit and preview hosted by the Museum of Contemporary Art (MCA) Chicago’s Women’s Board. EXPO CHICAGO, The International Exposition of Contemporary and Modern Art, is presented by Art Expositions, LLC at Navy Pier’s Festival Hall, and hosts more than 135 leading International exhibitors presented alongside one of the highest quality platforms for global contemporary art and culture. The exposition will continue through Sunday, September 30. The Sculpture Objects Functional Art and Design (SOFA) Show, held at Navy Pier from November 1-4, is a world-renowned gallery-presented art fair dedicated to 3D art and design. Which is exactly what distinguishes the event from other top art expos. SOFA presents artworks that cross the boundaries of fine art, decorative art and design, showcased by an elite selection of international dealers. SOFA is held annually at Navy Pier, with an average of 80 dealers and 35,000 people attending. 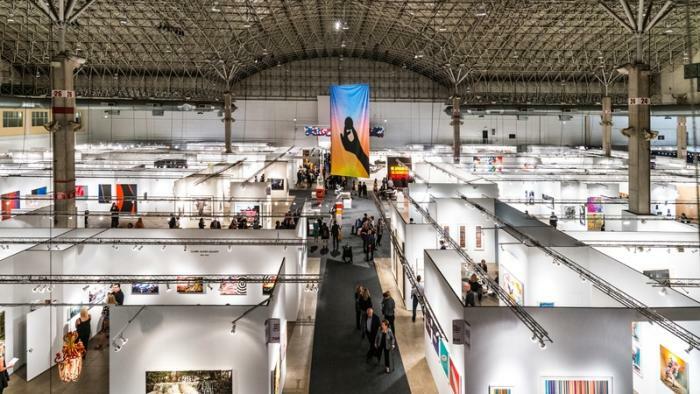 With a strong educational emphasis, SOFA CHICAGO includes an acclaimed lecture series and special exhibits exploring the works on view and surveying new trends in the art world. 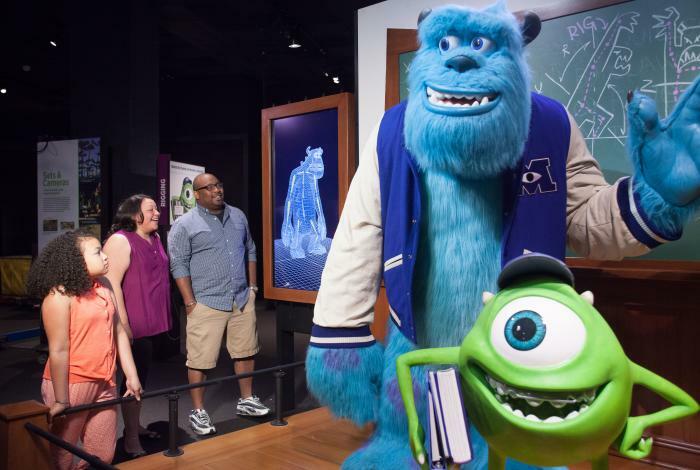 Experience a unique look into the Pixar process, and explore the science and technology behind some of the most beloved animated films and film characters at the Museum of Science and Industry’s The Science Behind Pixar. This exhibition gives an unparalleled view of the production pipeline and concepts used at Pixar every day. Participate in fun hands-on activities, listen to firsthand accounts from studio production teams and come face-to-face with the likes of Buzz Lightyear, Dory, Mike and Sulley, Edna Mode and WALL•E. The exhibit runs through January 6, 2019. From September 8, 2018 to January 6, 2019, The Richard H. Driehaus Museum presents Treasures from the White City: Chicago World&apos;s Fair of 1893, displaying original objects and memorabilia designed for and exhibited at the fair on the occasion of its 125th anniversary. 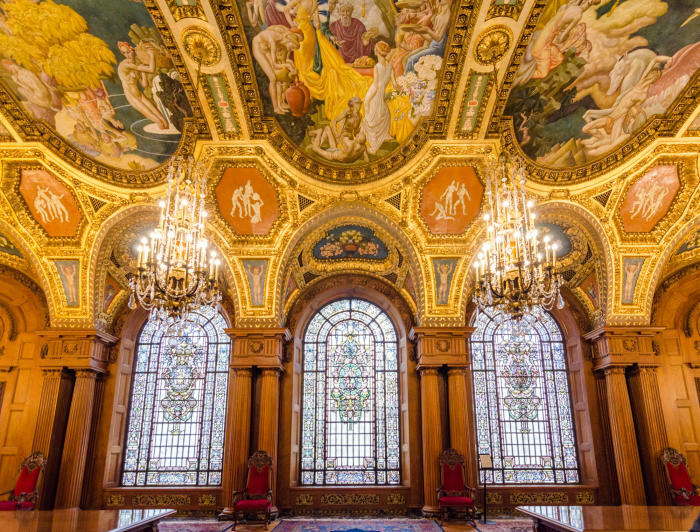 The objects are drawn from the Museum’s permanent collection, as well as the Richard H. Driehaus private collection, and are exhibited in two galleries in the Nickerson Mansion, a building that not only stood during the 1893 World’s Fair but also hosted a large reception to celebrate the event. The exhibit is part of Art Design Chicago. 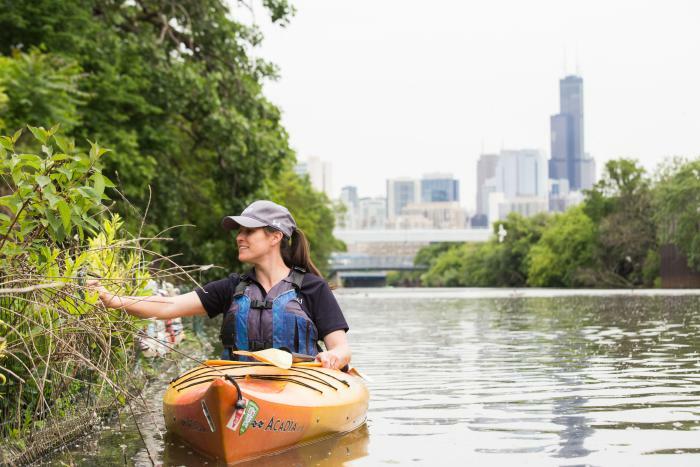 Among Chicago’s many unique fall initiatives is the Shedd Aquarium’s partnership with Urban Rivers to install a floating island called Shedd’s River Island on the North Brand Canal River. The island hosts up to 15 different plant species, increasing the health of the local ecosystem, and covers more than 260 sq. ft. of the west bank of the Chicago River. The island is part of Urban Rivers’ vision for “The Wild Mile” – the first ever mile-long floating eco-park. The island was installed on July 6, and is accessible by kayak. Programs will take place on Thursdays and Saturdays through October 27. The mysterious new WNDR Museum brings a Yayoi Kusama Infinity Room to Chicago, the first to go on view in the city. This pop-up museum features an educational, immersive and experiential installation that merges art and science. The room debuted last fall at New York’s David Zwirner Gallery, where it was visited by more than 75,000 guests. Titled Infinity Mirrored Room: Let’s Survive Forever, the work is filled with reflective steel balls and a small mirrored column that itself encloses an even smaller infinity room. The Joffrey Ballet’s Swan Lake, from October 17 to 28, 2018 at the National Historic Landmark Auditorium Theatre, presents a modern retelling of one of the most famous ballets of all time. Set in the studios of the Paris Opera Ballet, a company dancer falls in love with his beautiful partner, a star ballerina who is being pursued by an arts patron with bad intentions. A ballet-within-a-ballet, this tantalizing version combines classical elements with a touch of fantasy, as lavish sets and breathtaking choreography take hold against a backdrop of Tchaikovsky’s mesmerizing score. 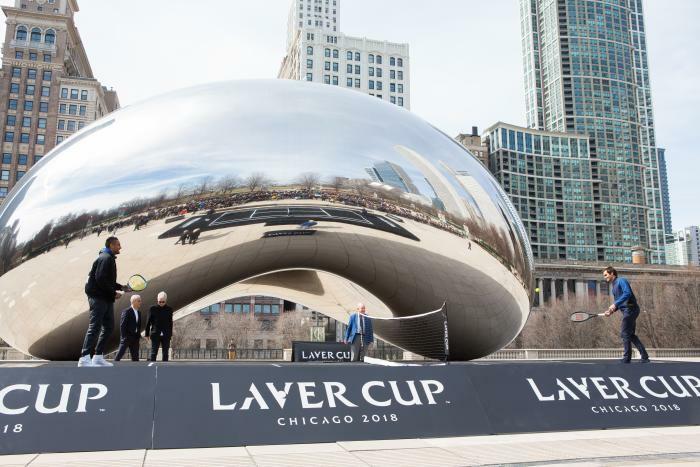 From September 21 to 23 at the United Center, Chicago will be the first U.S. city to host the second Laver Cup – a tennis competition in which six leading European players go up against competitors from the rest of the world. Tennis legends Bjorn Borg and John McEnroe take on the role of team captains. USA Rugby and TLA Worldwide, along with host city partners the Chicago Sports Commission and Soldier Field, bring world-class international rugby to Soldier Field for the latest edition of The Rugby Weekend. The iconic NFL stadium will play host to three captivating international rugby matches over the course of one day, featuring the USA Rugby Men’s and Women’s Eagles taking on New Zealand’s inspiring Maori All Blacks and the reigning Women’s Rugby World Cup champion Black Ferns. Six Nations Champions, and current number two on World Rugby’s World Rankings, Ireland, return to Chicago to take on Six Nations rivals, Italy. All matches will take place at Soldier Field on November 3, 2018. 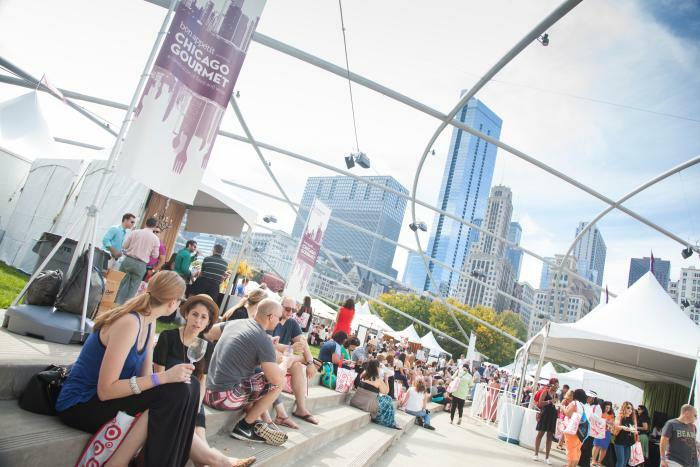 Celebrating its eleventh year, Chicago Gourmet returns to Chicago September 26 to 30 with a new theme, Rock the Fork, which celebrates two of Chicago’s most beloved cultural attributes, food and music. The festival was created by the Illinois Restaurant Association to honor Chicago’s culinary achievements and the creative vision of the chefs, Master Sommeliers, and wine-, spirit-, and beer-makers who participate. It also spotlights Chicago as an international culinary destination via its unparalleled epicurean talent. The event takes place at Millennium Park, Harris Theater and the Chicago Athletic Association Hotel. 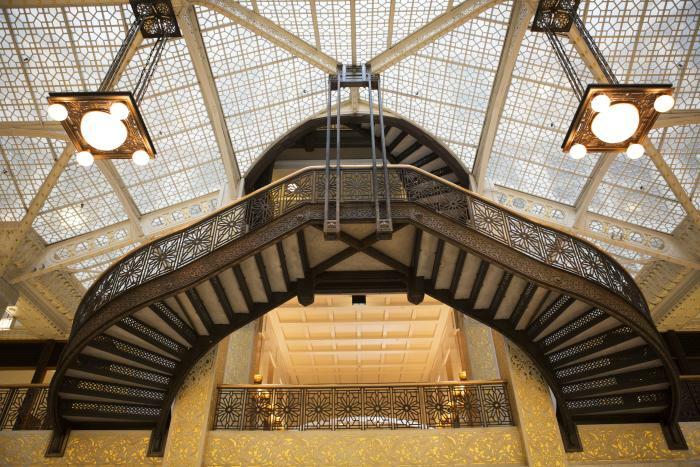 Open the door to 200 hidden architectural gems with Open House Chicago. For one weekend only each year (this year it&apos;s October 13-14), the Chicago Architecture Foundation (CAF) hosts the city&apos;s biggest architecture and design festival. This FREE public event gives you behind-the-scenes access to the greatest spaces and places in Chicago, illuminating areas that are normally not open to the public. Just drop in during event hours, which are typically 9:00am to 5:00pm both Saturday and Sunday (check individual site listings for exact times). Sites will accept visitors on a first-come, first-served basis — for the most part, tickets or reservations are not needed. Note that there are a select number of sites limited to CAF members only, or that require an RSVP in advance. It&apos;s the largest and longest running festival of international music in the United States, and it takes place in Chicago from September 7-23! 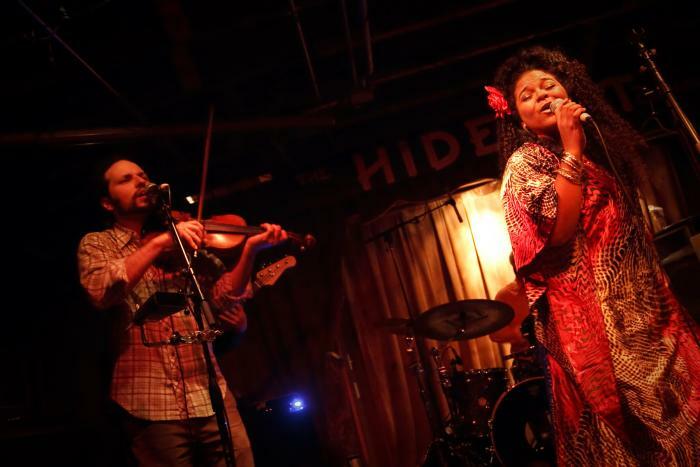 The 20th Annual World Music Festival is your passport to music genres that span the globe. Spicing up Chicago&apos;s already culturally rich performing arts scene, the citywide, multi-venue event features over 60 artists from 25 countries at 20 venues, including the Chicago Cultural Center. Find artists, venues and more at the official website WorldMusicFestivalChicago.org, and follow the festival on Facebook at facebook.com/WorldMusicFestivalChicago and Twitter @WMFChicago #WorldMusicFestChi #ChicagoIsOne. The Chicago International Film Festival, October 10-21, is Chicago’s premier film event. 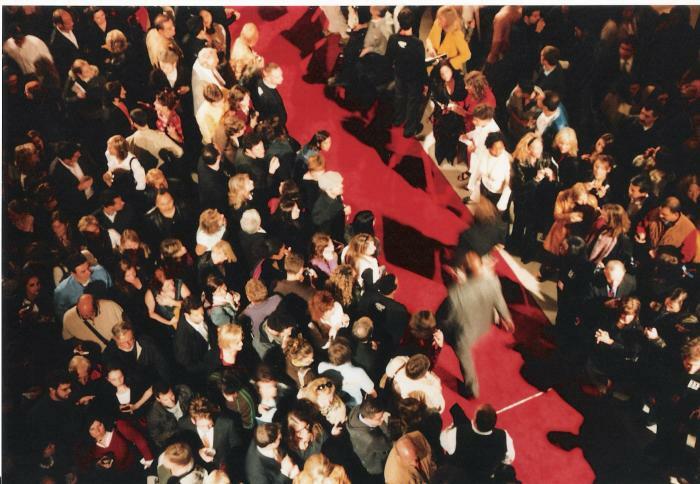 Taking place at AMC River East 21 (322 E Illinois St), the festival is now in its 52nd year, making it North America’s longest running competitive film festival. In addition to showcasing 150 films from over 50 countries, filmmaker Q&As, red carpet galas, tributes and panels, the festival also presents “Industry Days,” a 4-day conference for industry professionals. 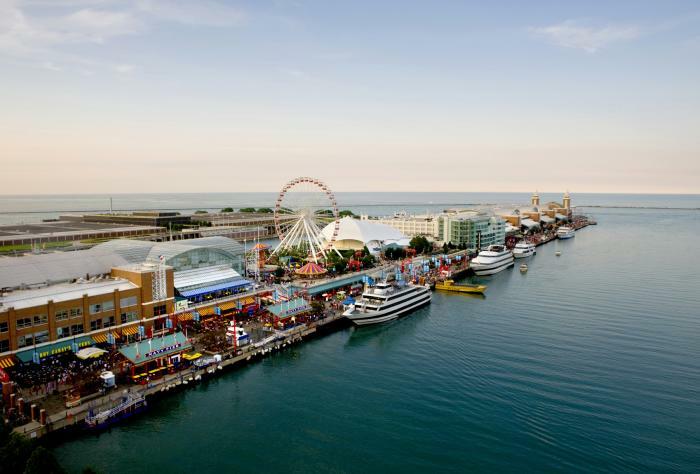 As Chicago’s longest running food experience company, Chicago Food Planet is partnering with Navy Pier to provide the first ever Navy Pier Food and History Tour. Chicago Food Planet specializes in curating five-star food experiences that showcase Chicago as the greatest food city in the world. In order to do the same at Navy Pier, Chicago Food Planet is working with the best culinary partners to highlight the historical, cultural and culinary value of this famous Chicago attraction. This guided food tour will educate and entertain guests as they explore the sights of Chicago, learn about Navy Pier’s extraordinary history, taste some of Chicago’s best foods and enjoy the iconic venue’s beloved cultural attractions. This one-of-a-kind experience visits Chicago favorites such as Giordano&apos;s, Garrett Popcorn Shops and America&apos;s Dog, while also exploring new finds like Tiny Tavern and Brown Sugar Bakery. The Frank Lloyd Wright Trust’s new Wright Around Chicago Guided Bus Tour with tour commentary runs through October 2018. The new day-long tour visits Frank Lloyd Wright sites in Chicago and Oak Park, highlighting Wright’s Oak Park home and studio; the newly restored Unity Temple and surrounding Historic District; Wright’s modern masterpiece, the Frederick C. Robie House; and the Rookery Light Court, Wright’s remodeling inside an historic skyscraper. Arts in the Dark is a spectacular evening parade that celebrates Halloween as the "artist&apos;s holiday". The event draws together world-renowned institutions like the Art Institute of Chicago, celebrated Chicago organizations like Lookingglass Theatre Company, important programs like After School Matters and aspiring artists in every field. 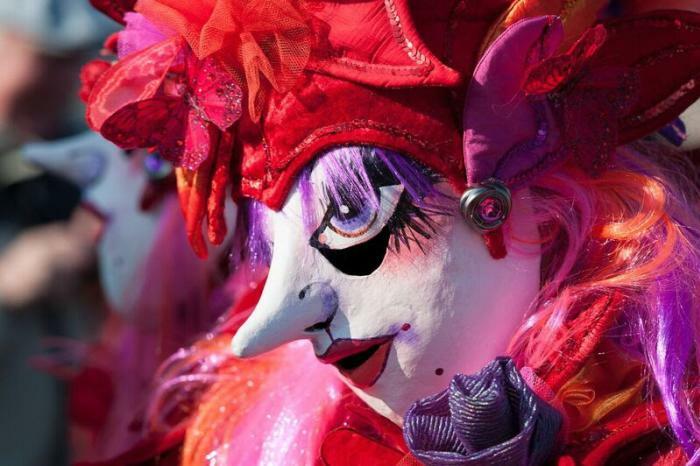 Now in its fourth year, this extraordinary parade has delighted hundreds of thousands of locals and visitors with unique floats, spectacle puppets and creative performances that are exceptionally dramatic set against the backdrop of Chicago’s majestic skyline. Arts in the Dark, which is free and open to the public, takes place on Saturday, October 20th from 6pm-8pm on Columbus moving north from Balbo to Monroe. The Chicago Humanities Festival 2018: The Year of Graphic! takes place October 27 to November 11. As the world becomes increasingly visual, it is also becoming increasingly commonplace for people to communicate not with words but through photographs, emojis, videos and Instagram stories. But is the visual proving better than narrative at helping us make sense of life? The festival explores a rapidly emerging and evolving visual society, charting its expressions, potential and the limits.